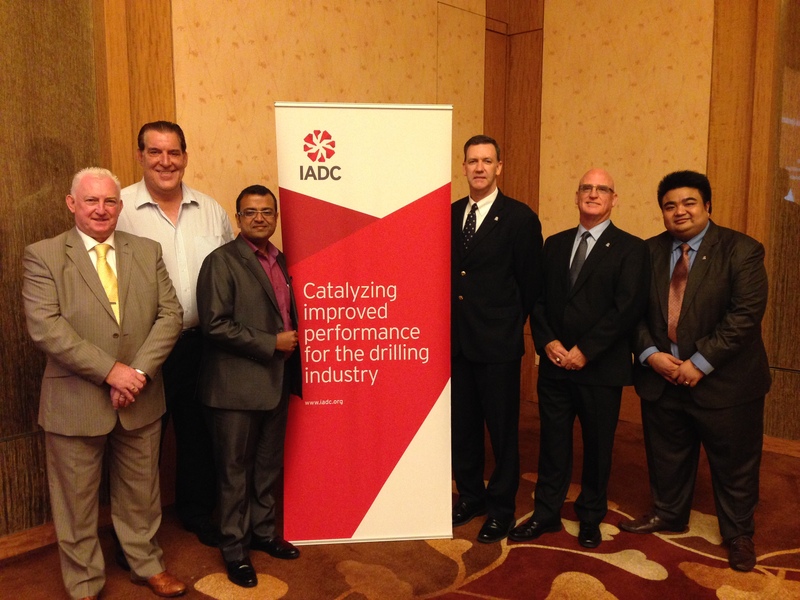 Members of the IADC South East Asia Chapter elected new Chapter Officers at a 1 April Extraordinary General Meeting in Singapore. The newly elected officers will be working closely with IADC and the support of other appointed Chapter Advisory Support Committee members from other IADC member companies in the region to pursue a further candidate for a second Vice Chairman position. The South East Asia Chapter remains a registered entity with the Registrar of Societies, Singapore, and aspires to strengthen and grow its prominence and network of members in the region. For more information, please contact Chit Hlaing at Chit.Hlaing@iadc.org. API recently published Recommended Practice 99, Flash Fire Risk Assessment for the Upstream Oil and Gas Industry, First Edition. The recommended practice provides guidelines on hazard identification and risk assessment exercises to assess and mitigate the risk of human injury caused by exposure to a flash fire. The scope of the document is limited to personnel exposed to the risk of hydrocarbon based flash fires in the upstream exploration and production sector of the oil and gas industry. The newest edition of IADC’s semi-annual report, International Standards Activities Affecting the Offshore Oil and Gas Industries is now available via IADC’s website. For more information on the report, please contact Alan Spackman at Alan.Spackman@iadc.org. OGP recently published Report 501: Crew Resource Management for Well Operations Teams. The report is a result of a project undertaken by the University of Aberdeen on behalf of OGP. Its aim was to develop a recommended syllabus for Crew Resource Management (CRM) training customized to the needs of well operations teams. To access the report, visit OGP’s website. On 1 April, IADC was represented at the European Union Offshore Authorities Group (EUOAG) meeting in Brussels to discuss implementation of the EU Offshore Safety Directive. Industry representatives were invited to participate in the meeting to provide comment on the common reporting format of offshore safety incidents. Those in attendance highlighted their concerns about the criteria used in defining a reportable release of hydrocarbons. Both IADC and OGP would like to see a common global standard and recommended API 754 and OGP Report 456 as the defining standards. The EUOAG agreed to further consider these comments and a final set of revised documents is being circulated. In April, IADC’s John Boogaerdt visited the Maritime Training Centre’s (MTC) offshore safety training facility in Amsterdam. The facility is housed in an old shipyard building near the center of Amsterdam and boasts separate pools for two helicopter underwater-escape training (HUET) modules and sea survival and lifeboat training. Training classes are run in parallel, which minimizes waiting time for participants. The facility also includes a 16 m high wind turbine mock-up for escape training and a virtual reality room for team training. MTC Amsterdam has innovative practices designed to increase training efficiency. For example, assessing the competencies of each participant before a course enables their training to be focused on the skills and knowledge they lack. In this way, the training is more interactive and reduces the training time for experienced workers. For more information, please contact John Boogaerdt at John.Boogaerdt@iadc.org or visit the MTC Amersterdam website. Melissa Mejias recently joined IADC as Legislative Analyst within the Policy, Government and Regulatory Affairs Division. In her role, Ms. Mejias will focus on offshore legislation and assist with international affairs. She is based in Washington D.C. Previously, she held a safety compliance and environmental role as Manager of Marine Safety and Investigations at the Liberian International Ship and Corporate Registry. There, she assisted with writing and revising maritime rules and regulations and the development of regulatory policy, while also advising on relevant regulatory and legislative developments affecting the offshore industry. She has received global recognition for assisting in the resolution of several high profile maritime labor cases. Melissa is a graduate of the United States Merchant Marine Academy and has a Master of Public Administration from American University. She also holds a Third Mate’s Unlimited License and is a Lieutenant in the Navy Reserves. She can be reached at 202.293.0670 or via email at Melissa.Mejias@iadc.org. Trinidad Drilling Ltd.: 128 (4). Unit Drilling Company: 9 (1); 15 (3); 26 (4); 125 (2); 309 (1).